We are very excited to announce the release of our apps for Virtual Reality – available for Oculus, HTC Vive, Gear VR and Cardboard – as well as initial WebVR support on Sketchfab. These apps provide a dedicated Virtual Reality experience and make Sketchfab available on more headsets. The apps are a curated showcase of models, and already a great illustration of what Sketchfab + VR means. 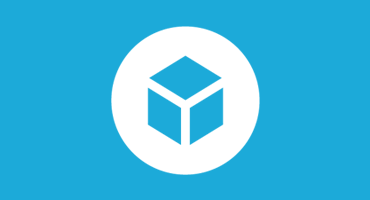 Our goal is to scale them to let you browse the entire Sketchfab gallery in VR within the apps. The other great news is that with our WebVR support, you can now explore ALL Sketchfab models in VR – not only with Cardboard, but with any VR headset. This now also includes positional tracking on all platforms that support it (Oculus and Vive). And it’s just a click away from any model – press the VR button to get started! The best part is that you can now browse your own models in VR! No need to go through game engines anymore, just upload to Sketchfab as usual and your work will be VR-ready in a matter of seconds. With WebVR support, Sketchfab is the most seamless way to publish VR content. This is an important milestone for us. Our users have been sharing amazing 3D creations on Sketchfab for the past 4 years, and VR offers the most natural and greatest way to experience those. It is also a big milestone for the Virtual Reality ecosystem. If you look at VR content today, most of it is about games, and most of it is studio made. But the bulk of VR content will be user generated. If you look at user generated content for VR, most of it is 360 videos, but this is not what VR was built for. VR needs a volumetric format, and that’s what Sketchfab content is about: a scene you can walk into and navigate with 6 degrees of freedom. We are the largest community of 3D creators, and with more than 750k 3D files published to date, our VR support make us the largest library of user generated VR content. Sketchfab VR does not offer a wild gaming experience where you have to shoot monsters and think about how to survive. It’s much more of a contemplative experience: you are here to explore the world around you. It’s about places, things, objects, people. It’s about discovery. It’s about learning. Ever dreamed of teleporting yourself to Rome, inspecting a beating heart, or walking along dinosaurs? You can do all these things in Sketchfab VR. Our goal is to make VR available to as many people as possible, and we hope you’ll be as excited about this as we are! Is it possible for a user to view their own models on the mobile app (android)? You can’t view your own models in the app for now, but we are working on it! You can view them in VR from the web though. Too bad, I believed that this was possible. We’ll be waiting for it. This is great but could you add gaze activation for those of us with Cardboard variants lacking buttons? Thanks! Where can I browse my own models on the HTC? You need to get chrome beta on webvr.info, and then you just need to click on the VR button from Sketchfab itself on any of your models, and check it out with the Vive. I looked for it in the Oculus store in GearVR even after today’s update and I don’t see it. It should land on the Gear VR store on Thursday. Does this support any type of simple animation? The video sample shows an animated alien which has me curious. Hopefully in the coming days! Apparently the Oculus Rift is not supported yet here. Or if it is, it is sadly lacking any useful info on how to use it. The page say’s Coming soon or whatever.. But we wait..and Rift users are used to that ! The Oculus is already supported through WebVR, just open Sketchfab on Chrome Beta (webvr.info/get-chrome) and click on the VR button on any model. The Oculus app should be released very soon. Since I’m running my Oculus setup in Windows 10 I can’t use the Chrome Beta for Windows 7. I’ve got Nightly installed, but it won’t launch Sketchfab models into Rift. Suggestions? Fair enough about Windows 10, thank you. Yes I followed guidelines on Nightly, installing the WebVR enabler add-on (it’s installed and enabled). I AM able to view VR samples on MOZVR home page in the Rift. I am NOT able to view anything from Sketchfab. When I click on the goggles icon in the lower right corner it launches and overlay window “Open this page in your mobile to view in VR:…” followed by a link which when clicked loads the same desktop page. I don’t think Nightly is up to date with WebVR 1.0 yet, so you probably need to go through chrome. cant we set our own lighting ?? how can we, can you please show me some example. Can we set Position points like in the demos on our own models? Not yet, but we are working on supporting the 3D annotations in VR. Completely new to Sketchfab, but saw it on the Oculus store and checked it out. It’s extremely cool, so had to come here to read more about it. The only downside really is that the number of curated models are pretty limited right now. I could see myself staying in Sketchfab for hours, if there were more things to see. I see you guys touched upon eventually enabling everything on the website to be viewed in the app. Is this something we can expect in the relatively near future, or is it gonna be farther out? Thanks! You can already view all models on the site with an Oculus and WebVR (https://help.sketchfab.com/hc/en-us/articles/204777439-Virtual-Reality-VR-). We do plan to enable the entire catalogue in the native app too, but to push that we depend on WebVR becoming more stable and available in the main browsers, which should happen soon. The new viewer Broke This. Hmmm, you should be able to upload .osgb files – if you get errors please send your file to support@sketchfab.com and we’ll dig in to it! Is there any way to view your own models without uploading them? I.E. 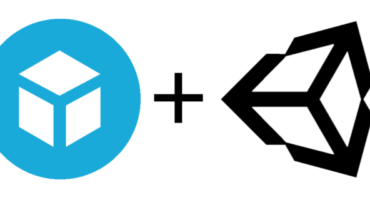 straight for the Sketchfab directory? You cannot view ‘local’ files with our viewer – they require processing on our servers first. So yes, you’ll have to upload them first. I’m having trouble “walking” in first person mode. Anyone else? The cardboard button isn’t activating anything for me. Native app looks really cool, good job. Hmm, you may have found a bug there – we’ll look in to it! Could you try adding ‘&navigation=fps’ to the URL? The final ‘hurdle’ which will encourage me to use Sketchfab is being able to set the walk speed on the phone web “cardboard”viewer (where you can’t simulate the mouse wheel to change speed). Currently, if I press ‘cardboard’ button to move, I move way too fast and out of my model (which is to real-life scale of a house). The ability set a default walk speed for each model would solve this, please!! Virtual reality without limits. https://www.youtube.com/watch?v=b-IH5sxLVEY What do you think about this? I very much like the VR app and also the possibilty to use simple cardboards with a normal browser to view all models (hence not the VR app, this works fine). However, there is an issue with the solution to view all models just using a browser (just tested with iphone): I have the Homido VR set for smartphones and the rubber button presses on the upper area of the phone display, there is, however the URL field and thus has no effect in the VR window. This means one cannot eg go to other places. This makes the function quite useless. I think a solution is if you could use a “full screen” call in your app (read it is possible?!). The chrome browser has this function (at least the upper bar disappears), but is does not work in the sketchfab VR window. Yes, this is a limitation of browsers on some mobile devices. We’re working on a native app that will no longer have these issues. Stay tuned! 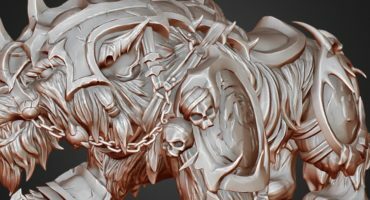 SculptGL + Sketchfab = Sculptfab!